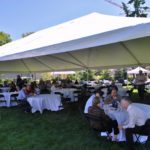 The classic tent has been a staple of events since the invention of easily transportable tent options. 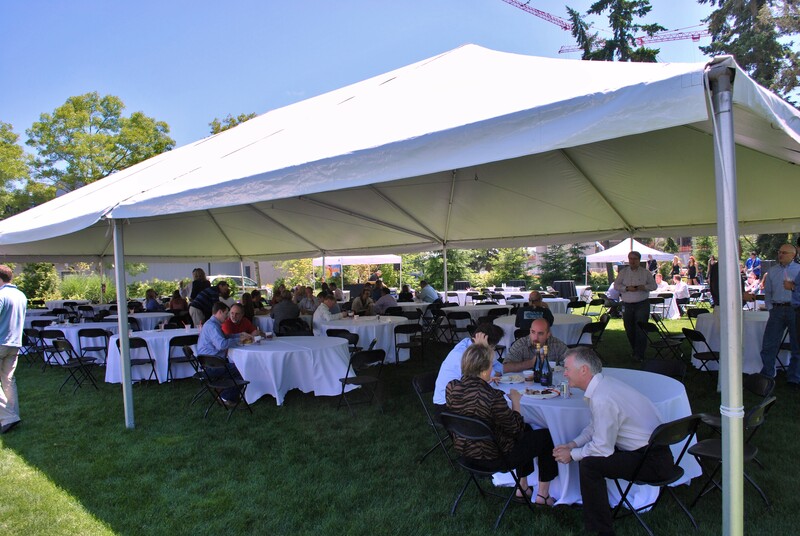 A tent at your event can serve a multitude of purposes. 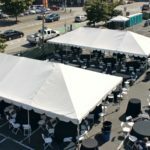 For outdoor events, these temporary shelters are often used for dining areas, covered buffet lines, and relief from the elements, both wind and rain. 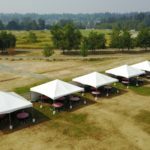 When used in conjunction with or next to a building, you can expand the indoor area of your venue to a patio or adjacent field, allowing for more guests or activities to be hosted. 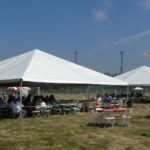 Beyond just providing a covered area, rental tents can be adorned with sidewalls or windowed side walls to further keep out the elements. 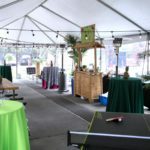 To make the inside of a tent look better than white vinyl or canvas, tent draping can be added in a variety of colors, to make the inside of the tent start to look like a classy hall. Different styles of tent lighting can be hung from the top. 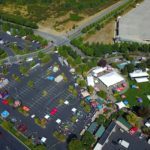 Styles like traditional chandeliers, LED can lighting, and roped carnival lights can give each tent a completely different look and feel. 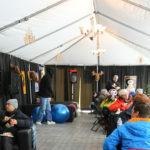 If your tent is being set up in the winter time, a couple of different styles of tent heaters can be enlisted, in electric and butane varieties. 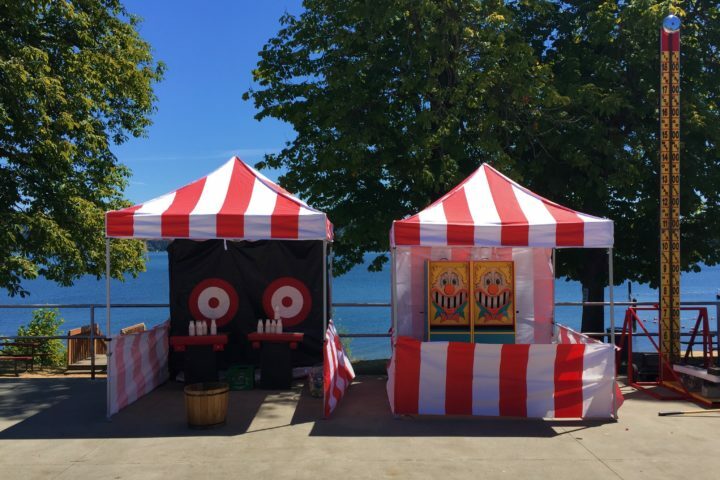 An event planner can assist you in making the right choice for your particular tent application. 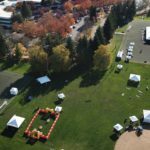 When setting up tents, safety is a critical factor that our event production teams take very seriously. 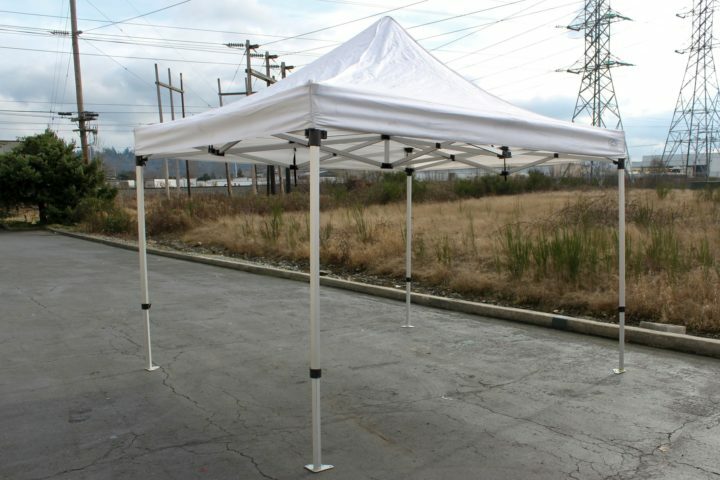 An improperly secured tent is like a kite that is ready to take off. 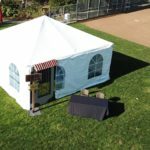 For this reason, all of our tents are extremely well secured using a mix of tent weights, stakes, and permanent structures to create a temporary permanence for the structure. 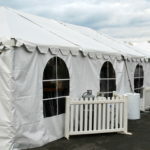 All of our tents include a fire-safety package at no additional charge that includes a pole mounted, inspected fire extinguisher should a worst-case scenario occur. 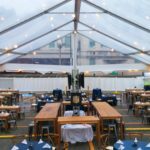 Finally, if you are unsure about your venues permitting process for tent installation and rental, one our event coordinators can work directly with your venue or local municipalities to handle any permitting or insurance concerns.